Deer is distributor of the most famous brands in the field of electric spare part. 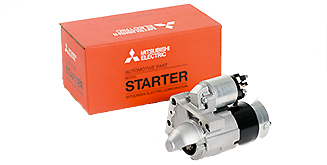 Remy , Mitsubishi , Bosch, Valeo ... for starters and alternators and Varta, Optima batteries. 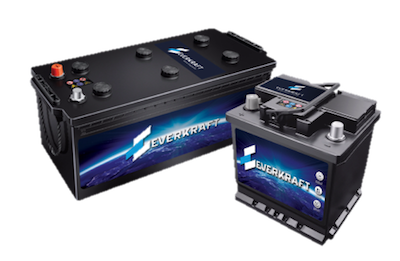 Our private label Everkraft (alternators and starters, electrical parts) or Freebatt batteries offers the highest performance value solution. 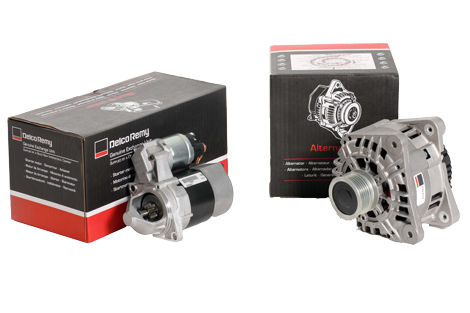 Remy offers a comprehensive range of alternators and starters. The brand is known for innovation and product performance. With Remy your vehicle confidence increases. Remy alternator technology is unique, Remy's high performance alternators allow quantifiable fuel savings. The Remy starter is protected against thermal damage and with unfavorable starting conditions such as cold start, a lower battery, Remy starters continue to operate in an optimum way. - Remy Automotive offers 24 months warranty for all its products. - More than 4000 Remy Automotive references are avalaible in stock a DEER. - DEER is an official distributor for Remy Automotive. A successful range, with Calcium / Calcium technology for performances appropriate to modern and older vehicles alike. The range available offers 100% calcium / calcium maintenance-free technology for the AUTOMOTIVE and on the POWER TRUCK range. It provides considerable reliability when in use, excellent resistance to corrosion and a longer life in the toughest conditions. EVERKRAFT products are selected by DEER. The EVERKRAFT range consists selected products by DEER. 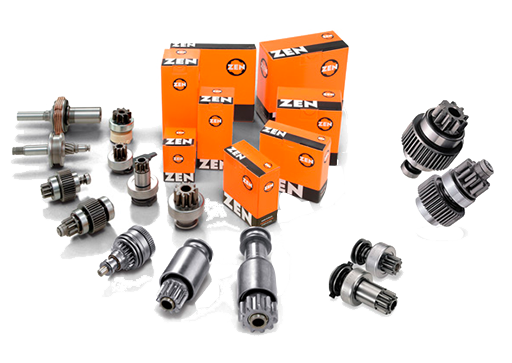 You will find a range of both controlled price products, but also products original Mitsubishi, Denso, Valeo, Bosch, Nikko, Sawafuji, Hitachi quality. The goal for us is to offer a complete range for cars, trucks and industry, agriculture and landscape, marine and leasure applications. 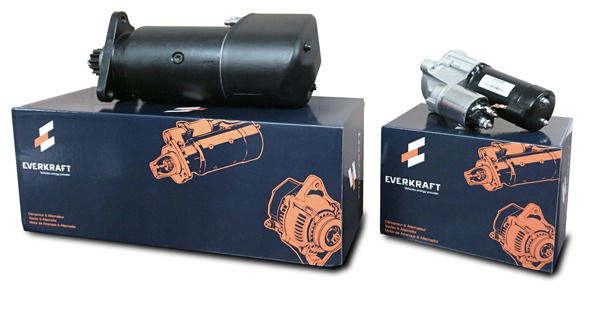 The large majority of Everkraft alternators and starters are new products which do not require the return of old materials. Saving you, the customer both time and money. Bosch produces starters & alternators for over 100 years which means a strongly experienced and world renown player in the automotive industrie. 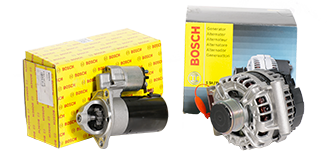 DEER distributes a wide range of Bosch products : alternators, starters, electrical components, injectors and diesel parts. Among the Bosch electrical parts, you will find regulators, drives, relays, carbon brushes, bushings, rings, bearings, armatures, rotors, stators in stock at DEER. Deer also uses Bosch parts for repairing and remanufacturing starters & alternators in its own workshop. 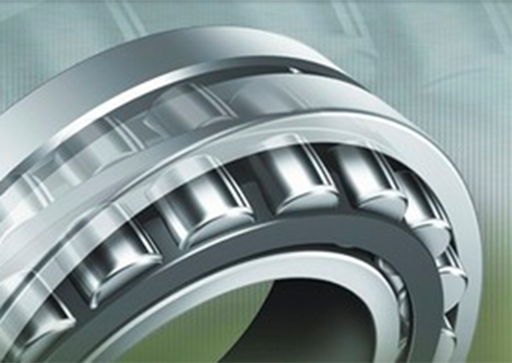 Longer life, less corrosion, unmatched performances... The major car manufacturers choose VARTA batteries. 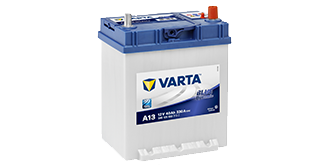 VARTA is a brand owned by Johnson Controls Power Solutions, the world's leader in lead acid batteries and advanced technology batteries for conventional, Start-Stop, hybrid and electric vehicles, and the first manufacturer in the world to mass produce Li-ion batteries for hybrid vehicles. VARTA products are designed to deliver exceptional power and reliability, reduce the risk of corrosion and ensure optimal efficacy for an increased lifespan, all resulting in a lower TCO (total cost of ownership). Today, millions of users throughout the world put their trust in its innovative products. The majority of the major automobile companies put their trust in VARTA. A brand synonymous with unmatched experience, innovation, performance, service and support in all conditions. You too can put your trust in us as can your customers. With an OPTIMA® under the bonnet, you can count on a battery that will last longer. The energy needs of cars, lorries and SUVs today, are greater than ever. The OPTIMA® battery is like no other battery currently available on the market. The OPTIMA® battery, designed with SPIRAL CELL® technology, provides a strong, clean energy source that easily outstrips any other lead acid battery. OPTIMA® can provide all the energy needed to run those gas-guzzling vehicles. OPTIMA® batteries always keep safety in mind; thanks to their leak proof container, they help maintain the safety of yours and your family's environment. Powerful, lasting twice as long, safety, totally leak proof system, resistant to vibrations, installation in any position; whether you are working, driving from one end of the country to another or just having fun, let OPTIMA® help you get the energy you need. MAHLE is the new name of the LETRIKA / ISKRA products. 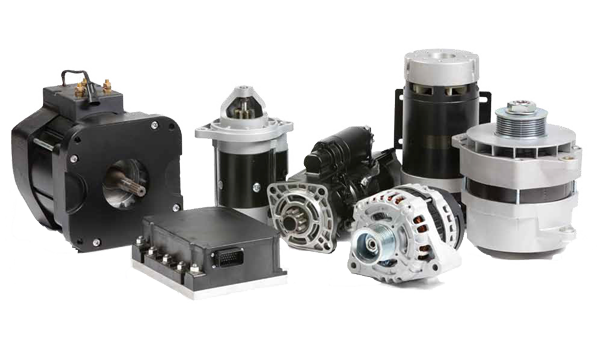 MAHLE produces alternators, starters and electric motors. All these products are available at DEER. The MAHLE products are new without core return. DEER is an official distributor for the MAHLE range. 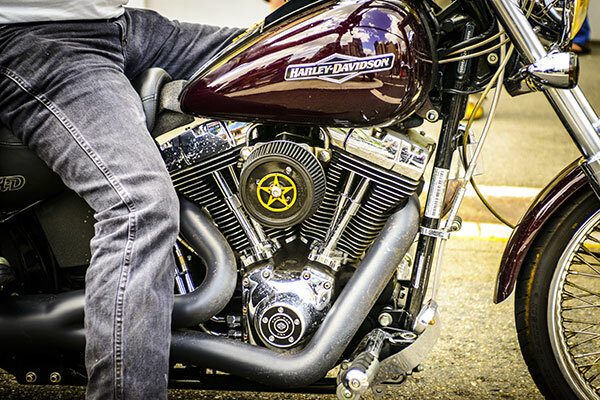 Deer distributes the DEKA battery range designed specifically for Harley-Davidson®. The Deka Sports Power range feature an ultra rugged construction, ideally suited to withstand the severe vibration and hostile environment encountered by Road and Trail Bikes, Jet Skis, Quad Bikes and Snowmobiles while offering ultra-high cranking power. To meet all the needs of batteries control, Midtronics never stops innovating. The values of MIDTRONICS are innovation and technical expertise. Over the last 30 years, the company acquired a consequent portfolio of certificates and the other intellectual property rights. The latter are in the heart of the new products and the new technologies intended for an effective management of batteries. 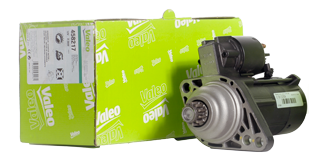 DEER distributes both new OE and reman products aswell as spareparts from Valeo. Under Valeo name are now grouped the old product like Ducellier, Paris-Rhone. Deer offers all spare parts for these brands and a strong expertise to repair them. Here is the new generation of the VARTA Start-Stop Program (VSSP 2.1). The expanded VSSP 2.1 enables workshops to carry out all battery replacements in a quick and straightforward manner. Thanks to the new integrated offline function, the device can operate without an internet connection, enabling flexible usage in every workshop. With quicker, optimised menu navigation and illustrated replacement instructions, complex battery replacements can be carried out in a user-friendly manner.